Ever wonder why some sites appear higher than others in your search results? It’s all because of a mechanism called SEO, or search engine optimization. SEO ensures that when you perform an online search, you will get the most relevant results. 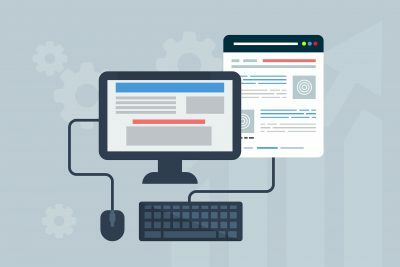 SEO involves several techniques. But a large part of SEO has to do with internal links. Internal links are hyperlinks within your content that point to other pages on your website or blog. They are designed to aid navigation, establish information hierarchy, and spread ranking power. When handled strategically, internal linking is a useful SEO technique that ensures your pages get listed on popular search engines like Google and online directories like Yelp. Here are some best practices for blog owners and content marketers to make your digital content more discoverable with internal linking. If you’re a WordPress user, you have the option to add tags and categories to your blog posts. The categories usually cover a wide range of topics, while the tags are more focused and specific. Essentially, they are keyword labels that explain what the post is about at a glance. If you don’t choose a category, your post will automatically be filed under “default.” Tags, on the other hand, only appear when a user adds them. Adding internal links to categories and tags can improve SEO, as it helps Google to understand the structure of your blog. Not only that, it makes it easier for readers to follow up their reading with related articles. Bear in mind that categories and tags can sometimes have a negative impact on SEO, depending on how you use them. You will want to change the WordPress default on Yoast by navigating to the SEO dashboard > Titles & Metas > Taxonomies and setting the Meta Robots parameter to “noindex,” thereby avoiding cannibalization and duplication. So how do you know which internal pages to link to? Consider that an effective internal linking strategy can only be implemented if you have plenty of content to link to – so that’s the first step. As you add more content to your blog, think about how your use of internal linking will affect the user experience, along with the messages these links will send to search engines. One method for finding internal linking opportunities is to look at the topics covered in your article and pick out keywords – say “internal links.” You can then perform a site: search on Google to find only content from your own domain that touches on this keyword, and choose the one that’s most contextually relevant. This approach can also aid your content strategy by helping you discover which subjects to write about next. For example, when we perform a site search for “internal links” on WiseStamp’s blog, we find 9 SEO Tips to Quickly Boost Your Rankings, which includes a point about internal links and their importance for web crawlability. Another method is to seek out pages on your website that could do with a ranking boost. By looking at your Google Search Console data, you should be able to find pages that are near the bottom of page 1 or 2 – these are the pages that need your attention. However, be careful not to link to the same pages over and over – the point is to link to a variety of relevant pages in a natural way that’s helpful to the reader. Internal links are a great way to guide readers to your best content, keeping them on your website for longer. Of course, you should practice including external links too, as this demonstrates that you’ve done your research and want to add value. Observe best practices with your outbound linking as well as internal: that means choosing reputable sources and crediting your photos and screenshots – even if they’re royalty-free images. “Read more” links can be a useful way of compressing content and tracking what’s popular, with the potential to rapidly influence your page views. Presenting your “read more” text can be as simple as a bold, underlined link in a different color from the rest of the text on the page – see below. The key is you want them to be distinct from other generic links in the article. If text alone isn’t doing the trick, you might consider adding an icon or presenting the link into a button to help it stand out. Internal linking should be about providing value to the reader. The SEO value that gets passed on is simply a desirable extra. The deeper the links you include, the better. That is to say, there’s no point including internal links from your blog to your Home or Contact pages, since these top level pages already form part of your primary navigation. Internal links are designed to strengthen those pages that are less easily located – other blog posts or service pages that form a natural association with the one you’re currently writing. 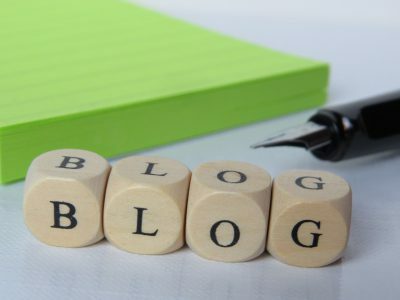 Likewise, if you link to your blog from other areas of your website, try to link to specific and relevant articles, rather than just your /blog page. This provides an easier route for the reader and saves them searching for the information they’re seeking. If in doubt, consider the most natural choice. A frequently asked question about blogging is whether to use a subdomain or not. And generally speaking, the best option is to not. There are very few instances in which this offers any benefit. A blog subdomain is when the URL looks like this: blog.yourdomain.com rather than this yourdomain.com/blog. The former example essentially creates a separate mini-site for your blog posts. While this can work very well for pop-up sites and campaign microsites, what you, in fact, end up with is two separate websites (your main site and your blog site)– both struggling to rank individually when together their SEO impact could have been much stronger. This is something to consider when starting a blog for your business – but can be remedied if you’re set up on a subdomain already. In conclusion, internal linking doesn’t have to be complicated and is well worth doing to ensure that deep content within your website gets seen. With a strong internal link profile, you can reap the rewards of improved SEO, and users spending more time reading your website. A final tip: consider going back through your older content and bringing it up to date with internal links to other blogs and pages on your website. Let us know how you get on!